Registration opens on April 26, 2019 at 7:00 am. This program is for athletes graduating from FNSC’s biathlon-specific Bears programs or nordic skiing Jackrabbit programs. Experienced biathletes or nordic skiers from outside of the FNSC program stream may also qualify. All registrants are expected to have Nordic or Biathlon racing experience. Exceptions may be made at coaches’ discretion. Parents of participants must have a valid Possession and Acquisition Firearms License (PAL). Participants under the age of 18 must have a valid Minors’ Firearm License. 12 to 14 (Birth year 2005-2007). Exceptions may be made based on coach’s discretion. *Practice attendance is not mandatory, athletes are encouraged to attend 2-3 practices per week. Optional training camp costs are not included in program fees and are on a cost-recovery basis. Train to Train 1 – Biathlon (T1-B) is for athletes graduating from biathlon-specific Bears programs or nordic skiing Jackrabbits programs. Athletes are encouraged to race at both Calforex Cup and Cross Country races. Athletes will learn or refine shooting skills with .22 rifles. Shooting training will focus on effective prone positioning, precision shooting skills, and combination shooting skills. Physical training will include the basics of dryland training including: roller skiing, running, ski striding, and body-weight strength training. On snow, athletes will develop and refine classic and skate skiing techniques. The basics of mental race preparation and shooting discipline will be taught and teamwork and personal interaction skills will be promoted. Where maturity and ability levels warrant, T1s in their second year of the program may begin standing shooting basics and receive training plans. 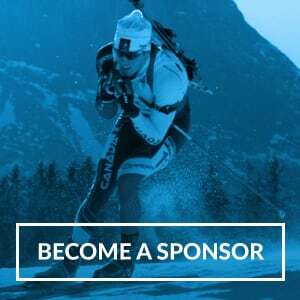 Race support will be provided at Calforex Cups (Biathlon races) and Alberta cross-country ski races. T1 Biathlon is coached by National Coaching Certification Program (NCCP) Competition Introduction or Competition Development coaches following the Biathlon Canada Long Term Athlete Development (LTAD). Information for parents is available here. The lead coach of this program is Matthew Neumann (NCCP#6155119 ).